The Professional Quality of Life (ProQOL) Assessment is a self-administered test of 30 questions that will help you get a read on your current balance of positive and negative personal and work-related experiences. What is professional quality of life? Professional quality of life is how you feel in relation to your work as a helper. 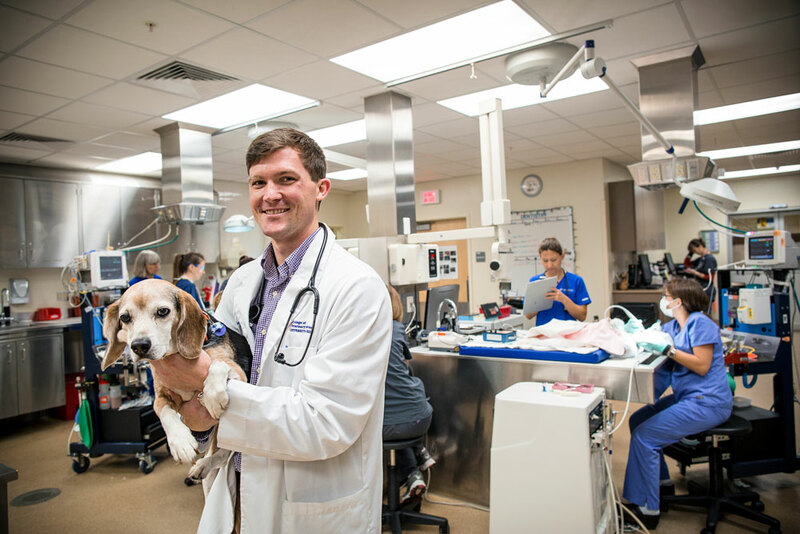 A veterinarian is someone who helps patients and their owners. Both the positive and negative aspects of helping others influence your professional quality of life. This assessment measures compassion satisfaction (the positive) as well as compassion fatigue (the negative) to provide a starting point for introspection about yourself and your environment. In turn, this can help you identify areas to focus your self-care. Students: This assessment is geared towards veterinarians in the workforce. However, you have the option to take the test now, modifying wording in statements to fit your life as a student. And now that you are aware of the tool, you can use it again after graduation. This assessment is not a diagnostic test, and no official diagnosis can be determined based on the results. The ProQOL tool was developed originally by Beth Hudnall Stamm, PhD, for use among human healthcare providers. As a result, the language in the assessment reflects human-directed support and care. When taking the ProQOL assessment, please consider the following language substitutions where applicable: 1) replace person with patient and/or client, and 2) replace people with patients and/or clients. We've prepared this online version of the PROQOL assessment tool to make your experience easier. Your individual responses and results will remain anonymous. The AVMA will see only cumulative responses from all users. Use the sliders to select the number that most closely aligns with your current state. Based on your responses, please see your personal scores below. If you have any concerns, you should discuss them with a physician or mental healthcare professional. I am preoccupied with more than one patient/client* I help. I get satisfaction from being able to provide care for patients/clients**. I feel connected to others. I jump or am startled by unexpected sounds. **replace patients/clients with patients and/or clients. © B. Hudnall Stamm, 2009-2018. Professional Quality of Life: Compassion Satisfaction and Fatigue Version 5 (ProQOL). www.proqol.org. This test may be freely copied as long as (a) author is credited, (b) no changes are made other than those authorized, and (c) it is not sold. I feel invigorated after working with those I provide care for. I find it difficult to separate my personal life from my life as a care provider. I am not as productive at work because I am losing sleep over traumatic experiences of a patient/client* that I provide care for. I think that I might have been affected by the traumatic stress of those I provide care for. I feel trapped by my job as a care provider. Because of my role as a care provider I have felt “on edge” about various things. I like my work as a care provider. I feel depressed because of the traumatic experiences of the patients/clients** I provide care for. I feel as though I am experiencing the trauma of someone I have provided care for. I have beliefs that sustain me. I am pleased with how I am able to keep up with care provider techniques and protocols. I am the person I always wanted to be. My work makes me feel satisfied. I feel worn out because of my work as a care provider. I have happy thoughts and feelings about those I provide care for and how I could help them. I feel overwhelmed because my case workload seems endless. I believe I can make a difference through my work. I avoid certain activities or situations because they remind me of frightening experiences of the patients/clients** I help. I am proud of what I can do to provide care. As a result of my care, I have intrusive, frightening thoughts. I feel “bogged down” by the system. I have thoughts that I am a “success” as a care provider. I can’t recall important parts of my work with trauma victims. I am a very caring person. I am happy that I choose to do this work. Compassion satisfaction is about the pleasure you derive from being able to do your work well. For example, you may feel like it is a pleasure to help others through your work. You may feel positively about your colleagues or your ability to contribute to the work setting or even the greater good of society. Higher scores on this scale represent a greater satisfaction related to your ability to be an effective caregiver in your job. The average score is 50 (SD 10; alpha scale reliability .88). About 25% of people score higher than 57 and about 25% of people score below 43. If you are in the higher range, you probably derive a good deal of professional satisfaction from your position. If your score is below 40, you may either find problems with your job, or there may be some other reason—for example, you might derive your satisfaction from activities other than your job. Most people have an intuitive idea of what burnout is. From the research perspective, burnout is one of the elements of Compassion Fatigue (CF). It is associated with feelings of hopelessness and difficulties in dealing with work or in doing your job effectively. These negative feelings usually have a gradual onset. They can reflect the belief that your efforts make no difference, or they can be associated with a very high workload or a non-supportive work environment. Higher scores on this scale mean that you are at higher risk for burnout. The average score on the burnout scale is 50 (SD 10; alpha scale reliability .75). About 25% of people score above 57 and about 25% of people score below 43. If your score is below 43, this probably reflects positive feelings about your ability to be effective in your work. If you score above 57 you may wish to think about what at work contributes to you believing you are not effective in your position. Your score may reflect your mood; perhaps you were having a “bad day” or are in need of some time off. If the high score persists or if it is reflective of other worries, it may be a cause for concern. The second component of Compassion Fatigue (CF) is secondary traumatic stress (STS). It is about your work related, secondary exposure to extremely or traumatically stressful events. Developing problems due to exposure to others' trauma is somewhat rare but does happen to many people who care for those who have experienced extremely or traumatically stressful events. For example, you may repeatedly hear stories about the traumatic things that happen to other people, commonly called Vicarious Traumatization. If your work puts you directly in the path of danger, for example, fieldwork in a war or area of civil violence, this is not secondary exposure; your exposure is primary. However, if you are exposed to others’ traumatic events as a result of your work, for example, as a therapist or an emergency worker, this is secondary exposure. The symptoms of STS are usually rapid in onset and associated with a particular event. They may include being afraid, having difficulty sleeping, having images of the upsetting event pop into your mind, or avoiding things that remind you of the event. The average score on this scale is 50 (SD 10; alpha scale reliability .81). About 25% of people score below 43 and about 25% of people score above 57. If your score is above 57, you may want to take some time to think about what at work may be frightening to you or if there is some other reason for the elevated score. While higher scores do not mean that you do have a problem, they are an indication that you may want to examine how you feel about your work and your work environment. You may wish to discuss this with your supervisor, a colleague, or a health care professional. Compassion Satisfaction is a degree of fulfillment, sense of purpose and satisfaction derived from working as a care provider. This can involve positive feelings toward colleagues, contributions to the work environment and/or gratification from caregiving. Compassion Stress is the unavoidable stress experienced when helping others in distress or harm’s way. This stress is expected, natural and unavoidable in the healthcare field, and is derived from a sense of responsibility and desire to alleviate suffering. Unless addressed, compassion stress can escalate to compassion fatigue. Compassion Fatigue is a state of exhaustion and biologic, physiologic and emotional dysfunction resulting from prolonged exposure to compassion stress. Individuals who experience compassion fatigue feel overwhelmed from bearing the suffering of others, but typically continue to engage in self-sacrifice in the interest of their patients and clients. Factors that place individuals more at risk for experiencing compassion fatigue are high empathy, a history of traumatic experiences, and the existence of unresolved trauma. Factors that affect the severity of compassion fatigue are the duration of the experience, the potential for recurrence, exposure to death and dying, and the presence of a moral conflict. Burnout is a psychological syndrome that involves prolonged response to chronic interpersonal stressors on the job. Burnout is typified by emotional exhaustion, cynicism, personal inefficiency and ineffectiveness in the work environment. An essential guide to burnout and compassion fatigue that dispells myths, provides explanations and places to get help.